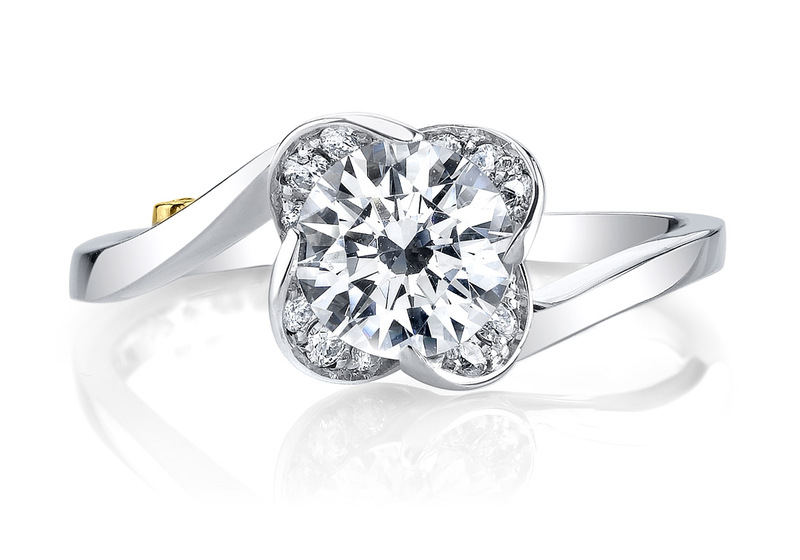 This classic ring captures vintage style details in a modern shaped setting. The split shank openwork gives this ring the look of a wider ring while still having delicate details. 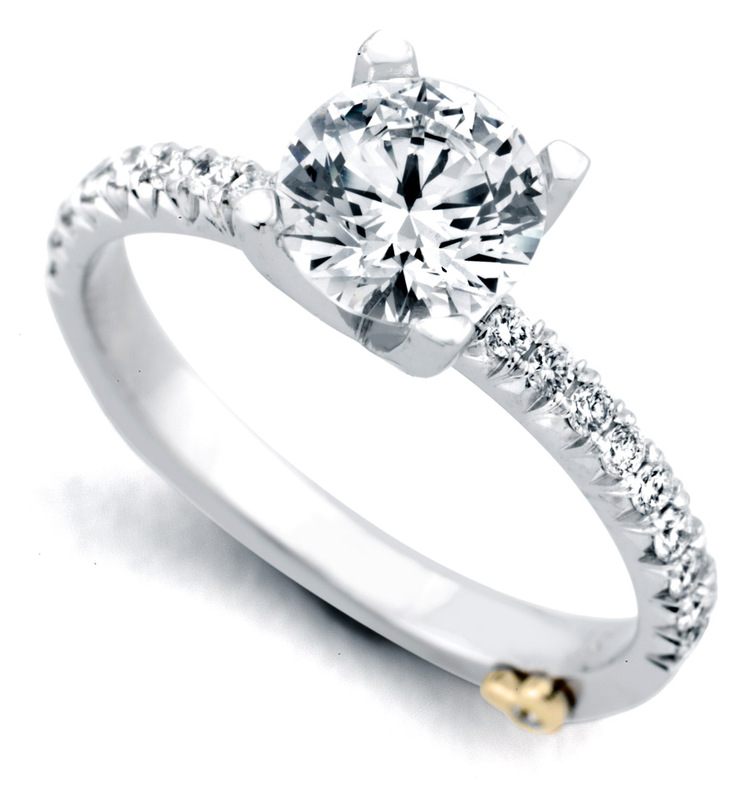 The accent diamonds lead up to the center stone which is set using a vintage style split prong head. If you love both the vintage and modern design styles, this is a perfect marriage between the two. 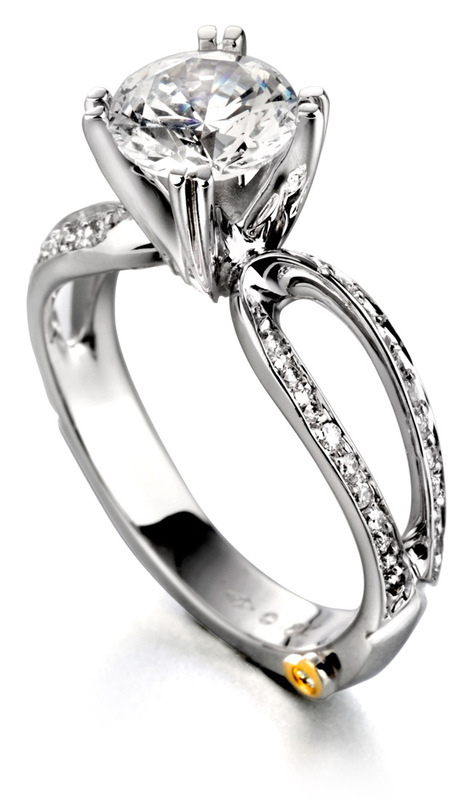 The Amore ring can easily accommodate a variety of center stone options. 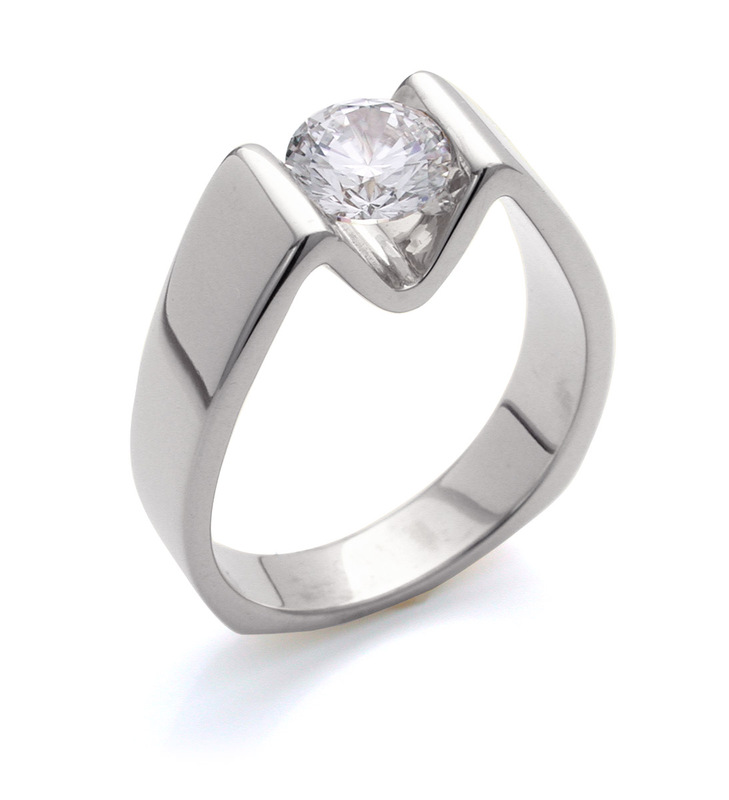 Set this ring with a classic round center diamond, or make it unique with a fancy shaped diamond or a colored gemstone.